Rabbi Dave, one of the original founders of the Kollel, recently became the Dean of the ASK. Together with Rabbi Doniel Pransky it is his responsibility to make sure the Kollel is able to support the staff that is the heart and soul of the Kollel. He still runs a number of programs for the Kollel including high school programming at Pace Academy, Woodward, Paideia, and North Springs. He leads the Heritage Young Adult Program in Toco Hills as well as a popular weekly Shabbat beginner service. He also learns with young adults and is developing learning opportunities in areas of town where young Jewish adults live. Rabbi Dave is known for his proficiency at juggling, mime, and he particularly enjoys burning his hands as one of the Kollel Kashering team. 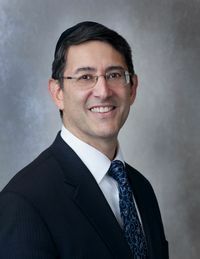 Rabbi Silverman received his rabbinic ordination from Ner Israel Rabbinical College as well as a MS in Education from Johns Hopkins University.